REGISTER NOW! Canada Basketball in partnership with Basketball Manitoba have announced details on an NCCP Learn to Train Basketball Coaching Workshop that will be hosted in Winnipeg May 4-6, 2018 at St. Paul's High School in Winnipeg, MB. Cost to attend the clinic is $265.00. Deadline to register is April 27, 2018. This Learn to Train course is targeted to coaches working with players ages 12-16. It has replaced the old NCCP Level 2 course work. There is no pre-requisite needed to attend this clinic. 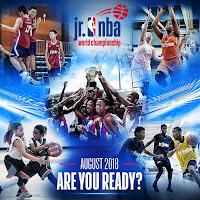 IMPORTANT: Head Coaches who are registering a team in the Basketball Manitoba Club Championships at the 14U age level and want to be eligible for the Jr NBA World Championship opportunity must complete this course (or one at this level in the past). Assistant coaches are welcome to register as well but are not required to attend. Read more about the Jr NBA World Championship Qualifiers. 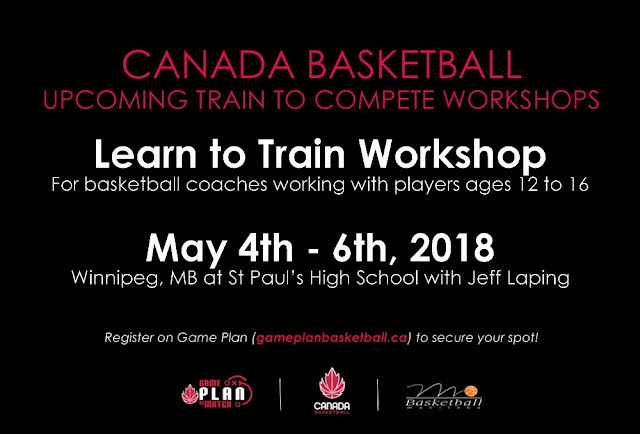 Registration is being managed through the Canada Basketball Game Plan website at http://gameplanbasketball.ca. Jeff Laping was born and continues to live in Winnipeg with his wife and three children. Jeff graduated from St. Paul’s High School in the class of 1989. He attended the University of Manitoba earning a Bachelor of Arts in 1993 and a bachelor of Education in 1995. He began working at St. Paul’s High School as a teacher of English Language Arts in January 1999. He has been involved in the basketball program at St. Paul’s since arriving back at the school as a student teacher in 1995. He coached the JV boys team for three seasons and has coached the Varsity boys since 2000. Jeff has been involved with Basketball Manitoba in a number of capacities since 2002. He was an assistant with the male 17U team in 2002 and 2003; he coached the male 16U team in 2004, and was manager of the 2005 and 2009 male Canada Games team. Jeff has worked with the Centre for performance since 2004 as a coach, and has worked with the Manitoba Basketball Coaches Association since 2003, serving as its President until 2013. Jeff recently led the St. Paul's Crusaders to the 2016-17 AAAA Boys Provincial Championship. From there, you can select the "Workshops" tab from the top toolbar. Once you are on the workshops page, ensure you set the Province to Manitoba to see available workshops. You will then be able to click on the "Register" button attached to the appropriate clinic.